Is it only us, or did November arrive faster than usual? Maybe the summer-like weather we had in early fall is to blame. But here we are, and the chill is in the air. 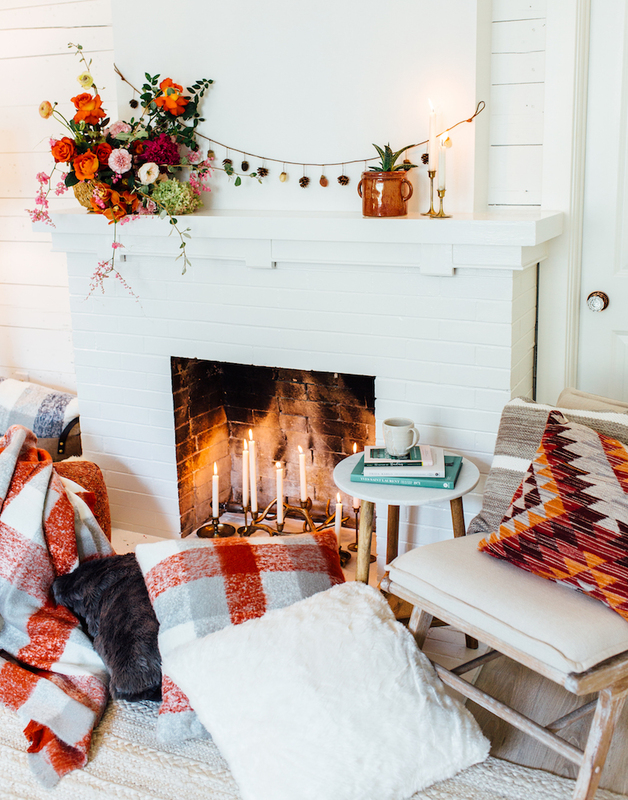 Fireplaces are once again crackling with warmth, cozy cable-knit throws adorn our sofas and kitchens are filled with aromas of mulling spices and pumpkin pie. November ushers in a season of gathering and thanksgiving. Here at Haven, we love to celebrate. Whether it’s exchanging funny birthday cards, going all-out for Halloween or celebrating our Geneva opening in grand style, we like to make it memorable. For the design world, November marks a time to predict trends for the coming year. At the Sherwin Williams 2018 Color Mix Forecast, attended by a few of our designers, we were presented with three distinctive color stories: sincerity, unity and connectivity. Lifestyle and color trends are determined by studying a wide array of influencers, from fashion to product design to social media. The sincerity palette took cues from the Danish word hygge (pronounced “HUE-gah”). Though there are many ways to describe hygge, it is often described as the Danish ritual of enjoying life’s simple pleasures: Friends, Family, Graciousness, Contentment, Good Feelings. A warm glow. A feeling of well-being. No single English word offers a proper translation. Think cozy, candlelit evenings curled up with loved ones, watching old movies or enjoying good wine and conversation. We’re all in. How about you? In honor of the coming holiday season, we want to share a little bit of our family with yours. Let’s celebrate togetherness and our own version of hygge. Below are a couple of our designers’ family recipes. 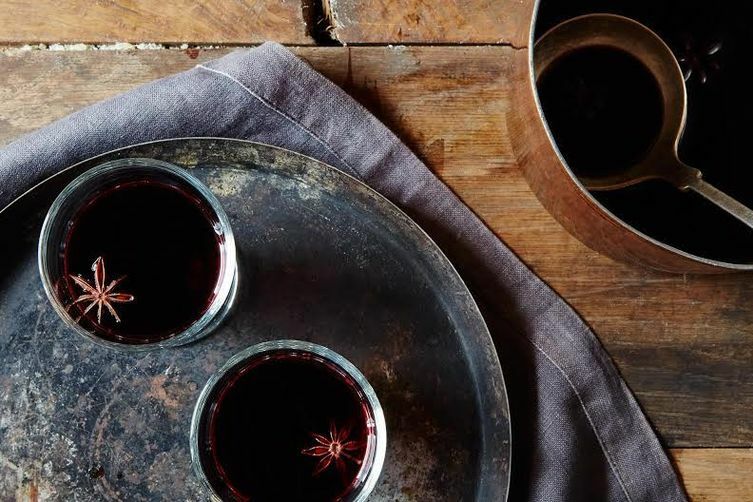 Bring wine to simmer, add sugar gradually, then whiskey. Serve hot with a bit of stuff in the cup (preferably a demitasse cup). 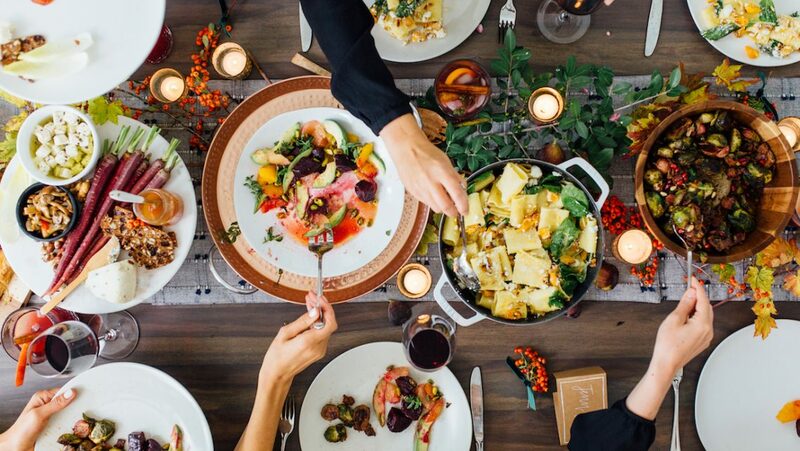 Holiday entertaining also means being party-ready. 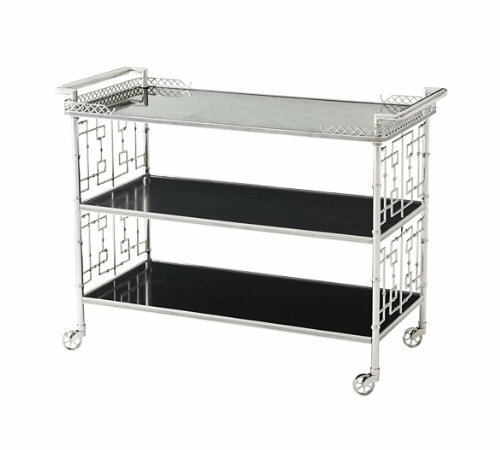 Having a well-stocked bar cart, styled for the season, is essential. Here are a couple of easy tips from our design team. 1. Remember the essentials: Ice bucket, shaker, bar tools, mixers, spirits and garnishes. Creating a special drink menu can simplify options. For a chilly winter’s evening, offer a choice between an old fashioned, whisky sour or hot toddy. For a ladies’ night, serve up cosmos and appletinis. For a brunch, try creating a mimosa-bar. Offer champagne with a variety of juices like orange or pomegranate. Don’t forget fruit toppers like raspberries, citrus slices and blackberries. 2. 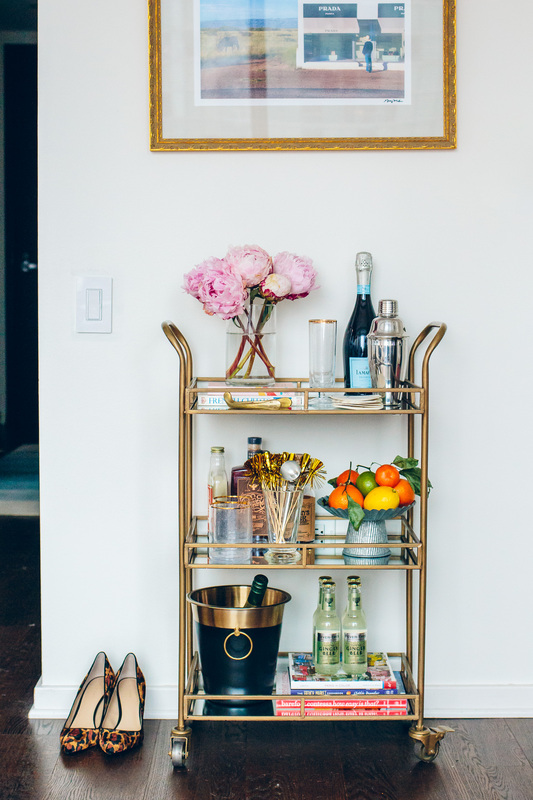 Make it pretty: Color, pattern and texture all come into play when styling your bar cart. Look for pretty packaging for your mixers and liquors. Dress it up with cocktail recipe books and colorful napkins. Mix in some vintage rocks-glasses with modern-day champagne flutes. Fresh flowers or a cluster of leaves will add a finishing touch. 3. Make it you: Showcase your personality with fun cocktail stirrers, quirky bar tools or monogrammed coasters. 4. 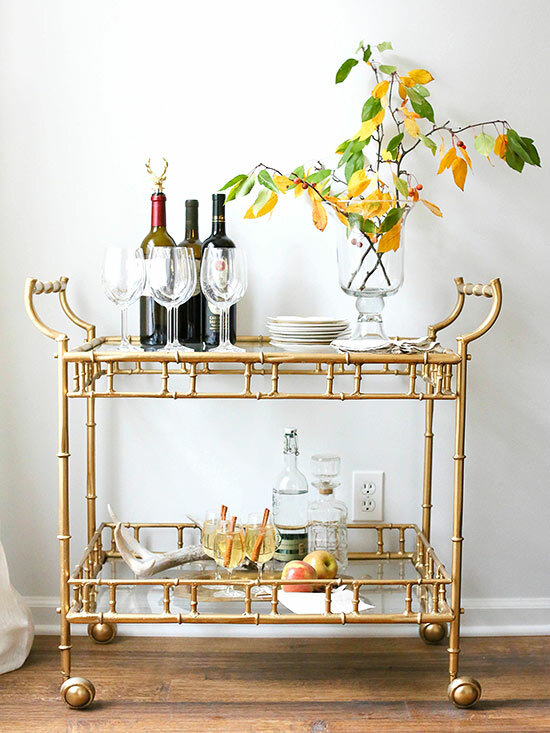 Keep it organized: Use trays to divide the bar cart into zones. There will be a place for everything including glassware and all of the essentials. 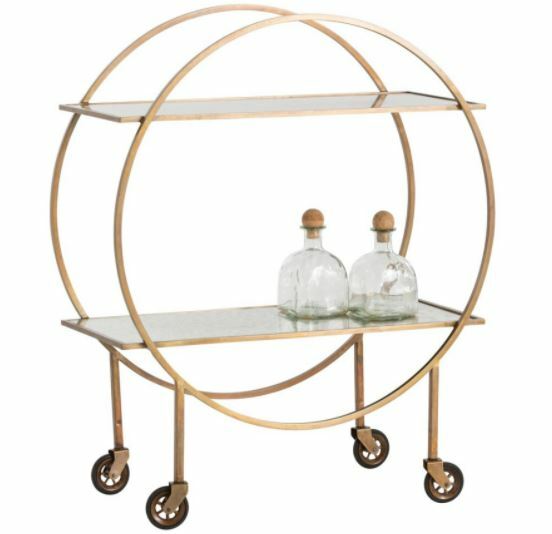 Here are a few bar carts that might be the perfect addition to your home’s next gathering. 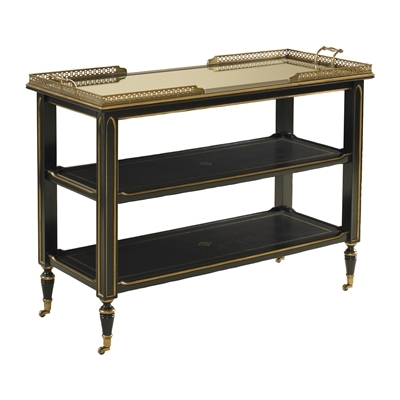 All are available by special order through Haven Interiors Ltd. Melt shortening and chocolate in double boiler. Remove from heat. Add sugar, eggs, vanilla and blend well. In a separate bowl, blend baking powder, salt to flour. Add dry ingredients to chocolate mixture. Spread into greased 9 x 13 baking pan. Bake at 350 degrees for 25 minutes. Cool thoroughly. 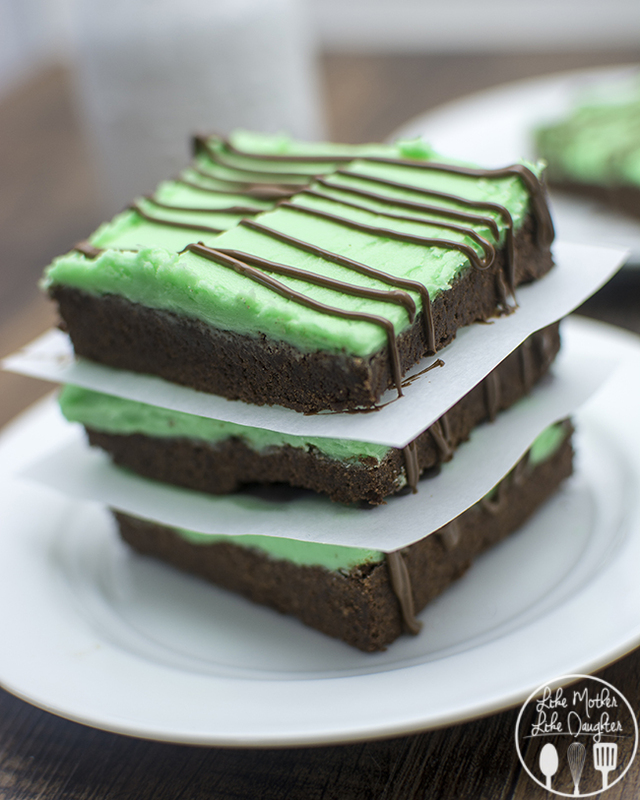 Top with mint frosting. Chill and glaze. Combine all ingredients, mix until smooth. Tint with green food coloring (if desired). Spread onto cooled chocolate bars. Refrigerate while preparing glaze. Melt together in double boiler. Dribble over cooled frosted bars. Cut into squares. Enjoy this festive season getting cozy, staying warm and well fed! P.S. For more inspiration and entertaining ideas, check out Pretty Fun: Creating and Celebrating a Lifetime of Tradition, a new book by Kate Hudson. Our favorite advice from Kate is to make it easy, which means saying yes, when someone offers to bring something to the party and saying no to spending all day in the kitchen.